Tomorrow at 4pm Eastern Time I'll be going live on my YouTube channel to answer another round of questions from readers like you. 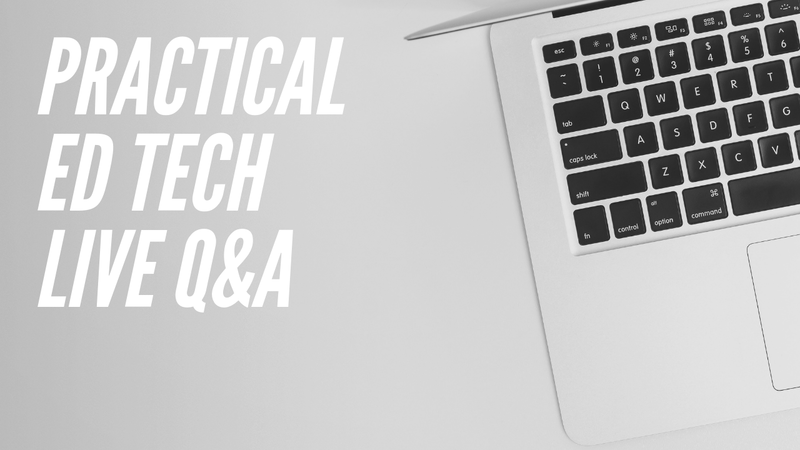 If you have a question about educational technology that you'd like me to answer you can put in the form below or just join the live broadcast and submit your question this afternoon. Subscribe to my YouTube channel to be notified when the broadcast starts. I'll also broadcast on the Practical Ed Tech Facebook page.